Our awareness of our need to stay secure when on the internet is increasing along with our want to maintain our privacy while we are online in our own homes. However, that is not to say our understanding of how to stay secure while online is improving. There are a number of different ways that have become popular to stay anonymous online all with varying degrees of success and ability. 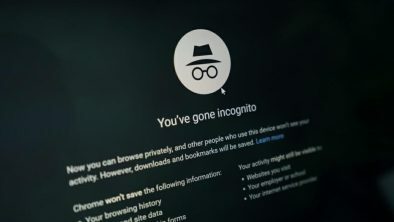 In this guide, we look at and compare the use of Google’s Incognito mode in their Chrome browser software, versus employing the use of a VPN to stay secure and private while online. In doing so, we determine which is the better software to use to succeed in upholding your privacy while connected to the internet. Get solid protection with ExpressVPN here. What Happens When You Go Incognito? Incognito is a mode that you can turn on while using Chrome to remain private. However, this is not as safe and secure as it sounds. When browsing the internet over a private session, the result is that your history is not saved on your device. This has a few practical repercussions, in that your login details to systems and websites will never be remembered. Private sessions with Incognito do not save your profiles so that even when you regularly return to a favored website, it won’t save any credentials. This can be a little frustrating now we are used to operating systems that remember our login information. VPNs are very different from Incognito, even though most people employ them wanting the same result. In comparison to not saving activity logs on a local drive as a means of maintaining privacy, a VPN creates a secure and encrypted connection with another host server so that all your data and traffic is impossible to read by anyone other than for who it was intended. While a VPN provider can keep up with what your online activity is, and choose to record that activity if they want, many of the most reputable providers maintain a zero logs policy. This is a big advantage to using a VPN over other private browsing software. What are the Major Differences Between Incognito and VPNs? Incognito is a fairly rudimentary way to protect your browsing sessions from prying eyes. However, VPNs have many features in place to provide many layers of security for your data. Here we look at some of those ways in comparison to what Incognito does, or does not, do. One of the huge upsides to using a VPN is the fact that a VPN provider gives a user the illusion of a new IP address. Not only is this a method of improving a user’s online security by helping to make them untraceable, it also opens up a great deal of content on the internet that may otherwise be blocked for geographical reasons. This is because a computer’s IP address is how websites like Netflix ascertain where a user is trying to access content from. As a VPN company provides a new IP address, if that IP address appears to be in a country that is allowed to access specific content, then the website will allow it to be viewed. Incognito does not do this. While it does make a browsing session private, it does not employ the method of providing a new IP address to do so. If you are not concerned with your, and your data’s, safety while online, you should be. Cyber crimes and online fraud is on the rise due to the increased use of the internet to transmit sensitive, personal data. For example, the majority of those that have access to the internet will use it to carry out financial transactions with their bank. If these transactions are carried out over an unsecured connection, it is vulnerable to online attack and being used for fraud. Incognito helps in some way with this as it disables plugins that are running that can be used by online criminals to identify users and intercept their information. However, most of us use plugins for a reason so having them disabled is not always convenient or efficient. A VPN, in comparison, does not disable a user’s plugins while encrypting the data that is being transmitted over the virtual private network that has been established. It means that even if you access your bank account online, a hacker cannot infiltrate and intercept any data transmitted through your plugins or open applications. Additionally, VPNs help to guarantee online privacy by employing the use of protocols that maintain safety. A protocol is the form of connection or tunnel that is created between a user’s computer and a VPN’s server. By making this impenetrable, along with encrypting the data that is sent along that tunnel, VPNs make transmitting sensitive information incredibly safe. When looking at the wider protection that VPNs provide, in comparison to Incognito, the differences between the two methods of maintaining online security diverge in ability even further. Incognito does allow users to access websites without leaving behind any personal data – be it sensitive or not. It is therefore good to activate if ever using a public wifi connection or even a computer in an internet cafe. However, it is easy for hackers to overcome this. All they need is the right malware in place and they can still access what data you have conveyed. Plus, everyone using that public wifi connection needs to be using Incognito for that connection to be difficult to infiltrate by hackers. The likelihood of this is low. VPNs, however, are different through providing a connection between their server and a user with an encrypted tunnel. It is far more secure therefore than simply using a private browsing session. Additionally, many VPNs come with what is known as a kill switch. These are fantastic features to see as it means that, should a user’s VPN drop out for any reason, the VPN provider automatically and immediately cuts the internet connection as a whole so that the user does not continue to use the internet unknowingly unsecured. With the US passing an anti-privacy law, and more countries set to follow, internet service providers are now required by law (in the States) to maintain activity logs on every single one of their customers. Activating Incognito while online does not stop your ISP from maintaining these logs. In fact, they can still see all of your online activity. VPNs, however, through their use of encryption and protocols make it impossible even for your ISP to see what a user’s online activity is. It means you are safe from your ISP invading your privacy, but also safe from ever having your details stolen by hackers should they penetrate an ISP’s records or there is a data leak at your internet service provider. When it comes to choosing between Incognito and VPNs to help protect online data, there really is no contest. VPNs win hands down each and every time. Incognito is a very limited technology that is easy for hackers to penetrate and illegally obtain personal data. Through providing a secure tunnel that transmits data that is encrypted, VPNs are far better at upholding a person’s anonymity. That being said, Incognito is better than nothing. So if you find yourself unable to log into your VPN for any reason on an unknown device, Incognito is at least some form of basic protection that can be utilized. Read more about top VPN brands like ExpressVPN in our in-depth expert review. < Previous What Can VPNs Do With Your Data?